myMantra: You're the reason I smile, you're the joy in my heart. You're the love of my life. This pre-engraved mantra is one of our absolute favourites, selected by the fabulous team it carries a beautiful sentiment. 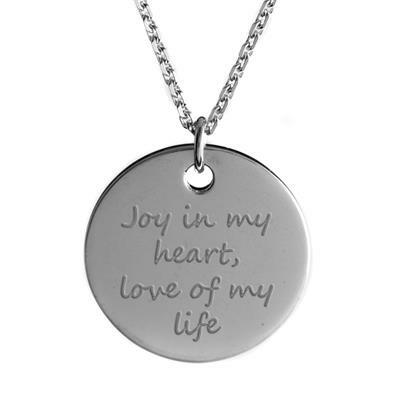 Wear this mantra, or give it to the love of your life to remind them just how special they are to you. If they're having a bad moment or day, let this mantra around their neck remind them of the security of your love and the happiness it brings.